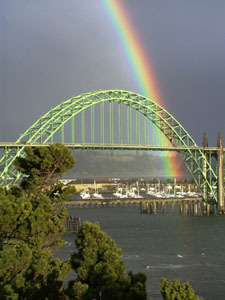 Welcome to the Home of Yaquina Bay Communications - Yaquina Bay Communications Yaquina Bay Communications - Oregon Coast Radio! Tsunami Warning System - How Does It Work? Our radio stations offer the best in news, sports, talk and music to the Central Coast of Oregon and beyond, serving the cities of Newport, Lincoln City, Depoe Bay, Siletz, Toledo, Waldport, Seal Rock, Yachats, Independence, Portland, Salem, Eugene and surrounding counties. The stations of Yaquina Bay Communications provide comprehensive coverage of local events and is committed to community involvement.